In March, it’s still too early to do much with warm season grasses like Bermuda, Zoysia, Centipede, and St. Augustine. However, if you have a cool season grass, like Fescue or Kentucky bluegrass, now is the second best time to overseed. 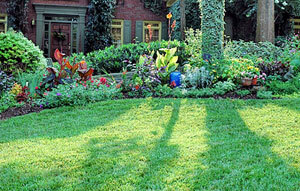 Here are my suggested steps for getting your cool season lawn in top shape.